HomeBlog June 2016 Cheers, Dad: 6 DIY Gift Ideas To Make Him Smile! Cheers, Dad: 6 DIY Gift Ideas To Make Him Smile! It's that time of year to say 'Cheers!' to Dad - with Father's Day just around the corner, we've come up with five ideas he'll love. Not only are they easy and inexpensive, they'll make him feel special, too! Keep reading and let us know which idea is your favorite in the comments! These Father's Day Coasters are the perfect accessory for his favorite room - they're so fun for any beer-loving dad! Use our Free DIY Father's Day Coasters Printable along with Mod Podge Hard Coat to transform simple ceramic tiles into coasters to make any man cave super classy! Give Grandpa some love with a handmade mug! Stencils make it easy to customize, no matter if he's Pops, Graddad or Papa! Even the littlest of hands can get involved in making this adorable Thumbprint Coffee Mug - this easy kid-made Father's Day craft idea is so fun to personalize with his favorite hobby. This project was inspired by one originally posted on Crafts by Amanda. True story. This "Go Ask Your Mother" coffee mug will make it to breakfast every morning! Use the Free Father's Day Mug Printable along with Mod Podge Dishwasher Safe to make this gift in a jiffy! Skip the expensive custom photo mugs and make your own! Use a favorite photo and Mod Podge Photo Transfer to make this mug for dad. These custom pub glasses will be a fun reminder every time he takes a sip! Use FolkArt Multi-Surface on pint glasses - just add his favorite beverage and a bow for gift he'll love! 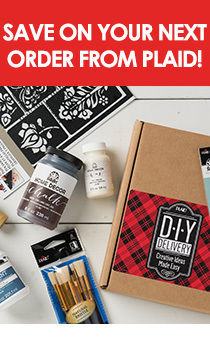 Want more DIYs for Dad? Check out 25+ more ideas on our website!